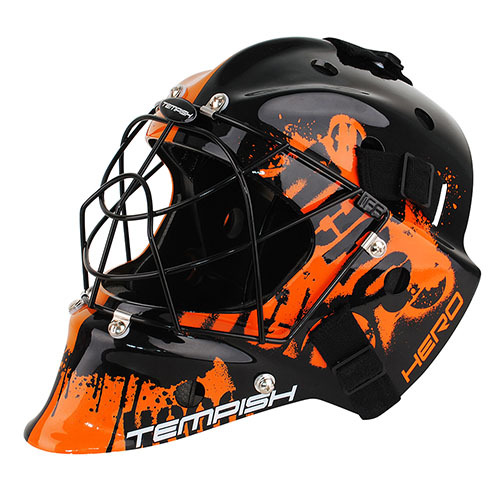 The Hero Goalie Mask from Tempish is made for the professional floorball players. 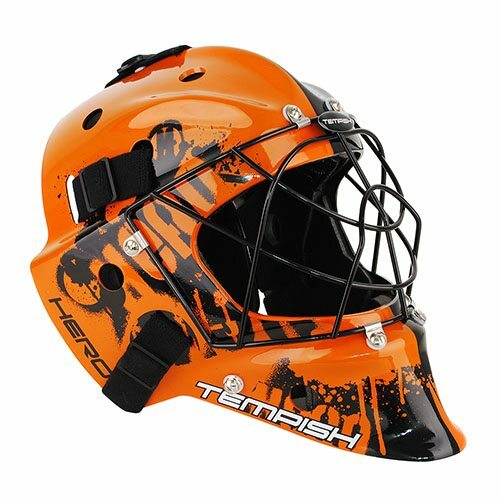 With a close attention detail yielding the best protection you could want as a goalie. 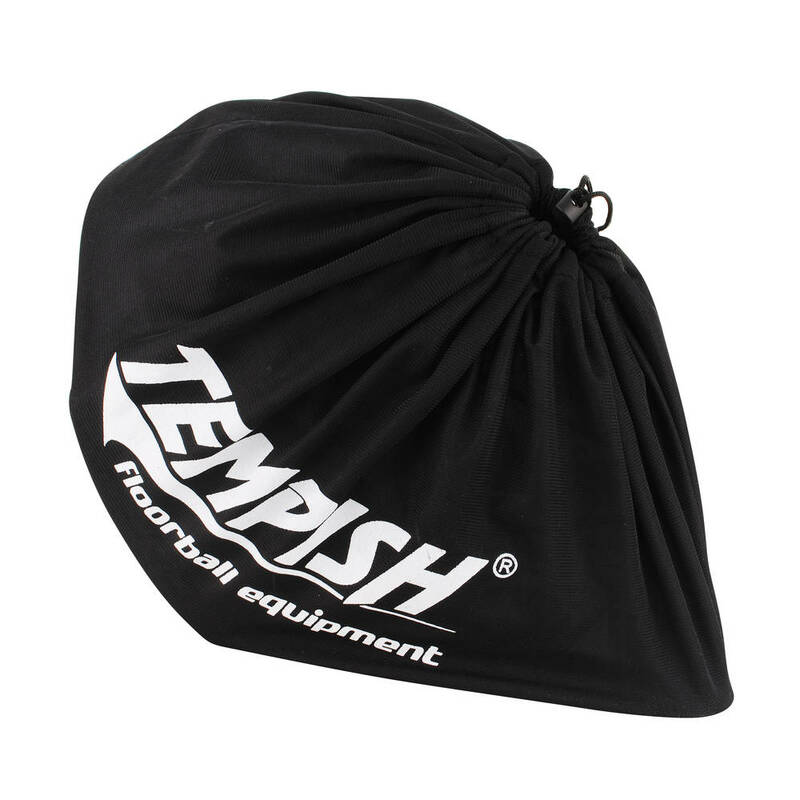 Made from a strong and durable ABS plastic and IFF approved. 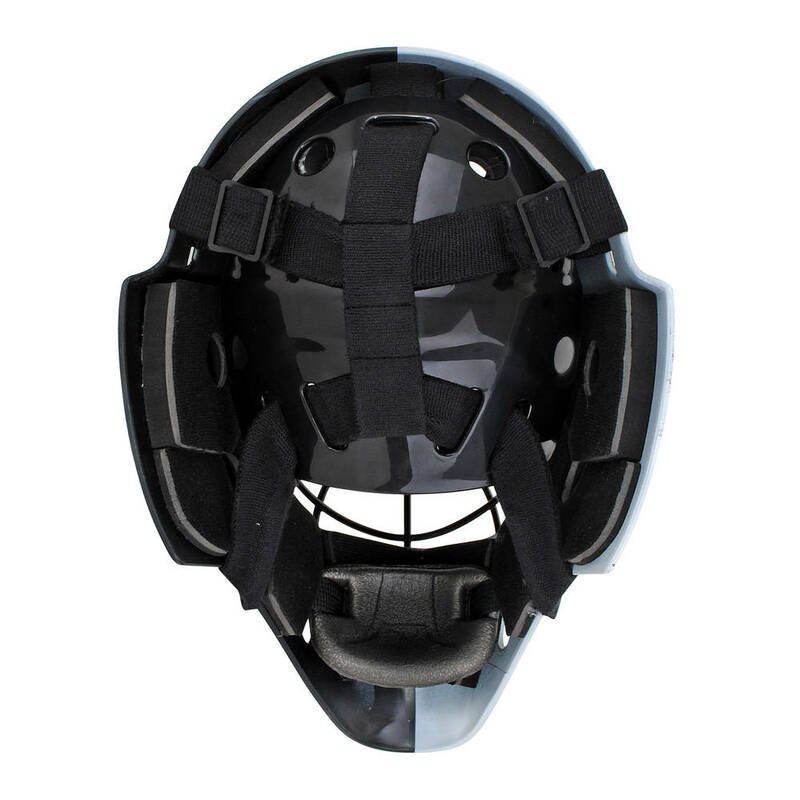 PE based bandage padding with adjustable chin guard. The forehead rests on a strip of CoolMax material for optimum ventilation. This is further ensured by the placement of ventilation holes throughout the mask. A redesigned steel front protects the face and gives a perfect game view. 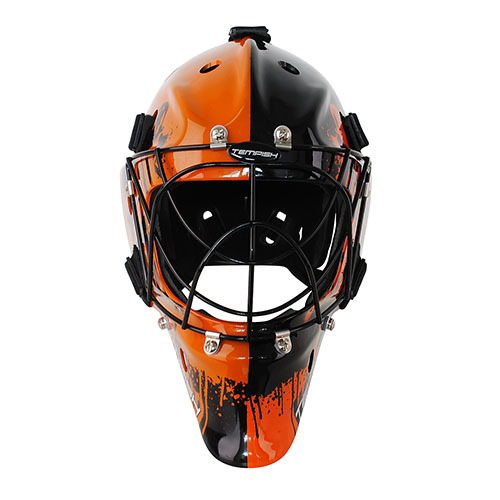 The mask is fully adjustable for a perfect fit.